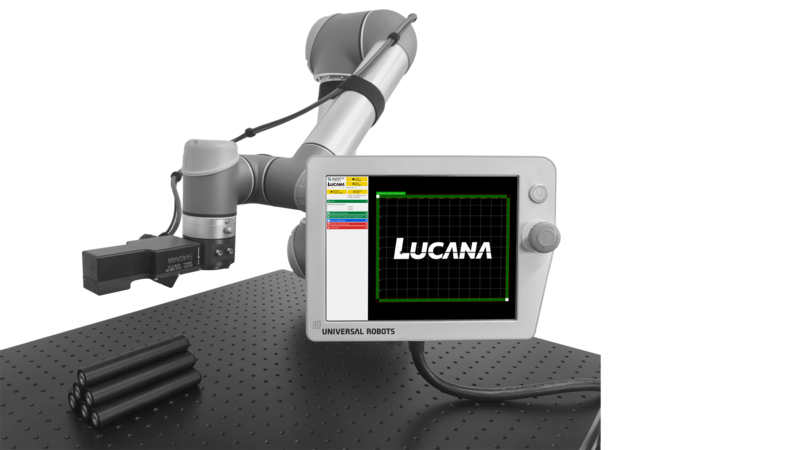 Lucana OCULUS is a laser profile sensor for 3d robotic guidance designed for high industrial reliability. The core of Lucana Caius is a powerful software that enables users to create advanced robotic guidance applications with point and click interface. Lucana sensor utilizes Liquid Lens technology that enables depth measurement range never seen before. 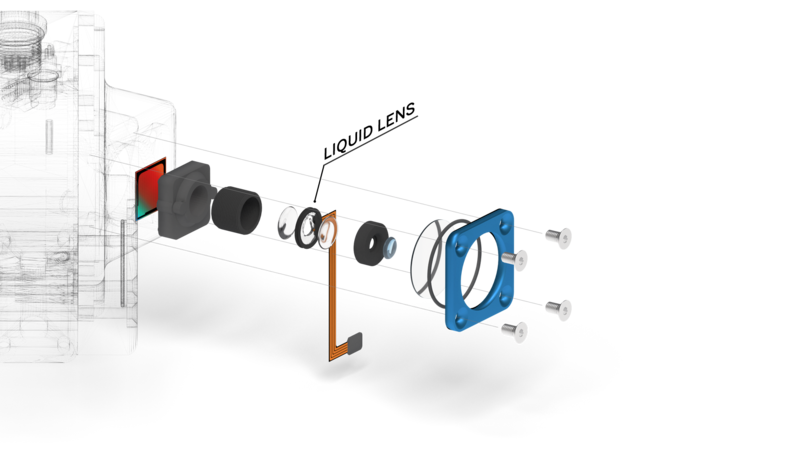 Lucana OCULUS is an extremely lightweight sensor providing accurate measurements, specially tailored for guiding robots. Just supply 24V power and an Ethernet cable to the Computing Unit and your robot can immediately start communicating with the sensor. The Computing Unit has a touch enabled screen that allows easy interaction with the Lucana Caius Software. Some robot controllers can be computing units themselves. Additionally, multiple sensors can be seamlessly connected to the same Computing Unit and their measurement results easily combined with a spreadsheet interface. Deep Integration With Universal Robots Controllers. The sensor software can run 100% on the Universal Robot controller. Configuring the software is done without ever leaving the Robot Teach pendant. This provides extreme ease of use, to allow setting up application in minutes and economical advantage because no Computing Unit needs to be purchased.